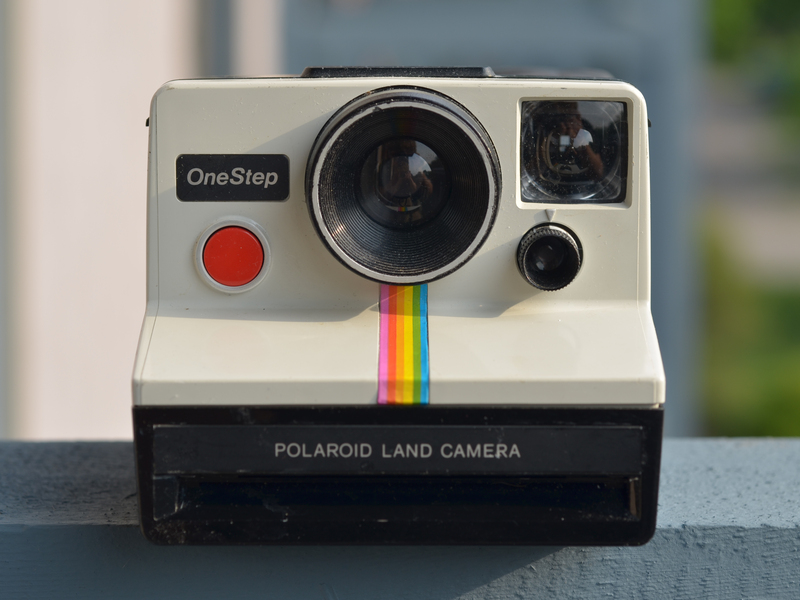 Update November 2017: After several decades, a spiritual sequel to this camera has been created by Polaroid Originals – the OneStep 2! It has a similar iconic look, but uses 600 and I-type film, which is a bit easier to shoot. The OneStep 2 is brand new, but if you want to know more about the classic itself, read on below. Update September 2017: The Impossible Project has renamed itself ‘Polaroid Originals’ as part of a major rebranding effort. The film itself is still the same, so for our purposes in this article the Impossible Project and Polaroid Originals are the same. To clarify, ‘Polaroid Originals’ are the films and cameras developed by the Impossible Project, while just ‘Polaroid’ refers to the original instant film line that was discontinued in 2008. The absolute best place to find Polaroid cameras like the Sun 600 for cheap (besides your parents’ attic) is through eBay. Please use the following link when purchasing, it helps me keep writing and costs you nothing. Thanks! Find the Polaroid OneStep on eBay. 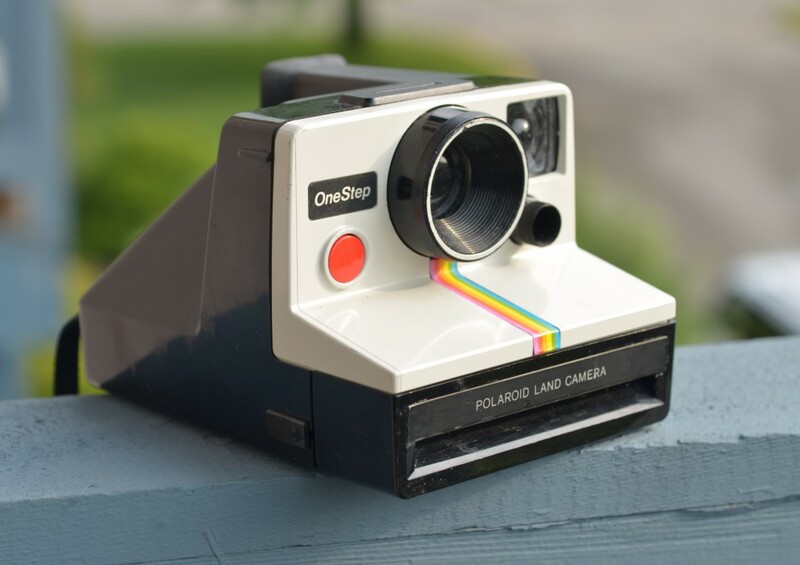 Here it is, the iconic Polaroid OneStep camera with the classic Polaroid Land Camera build. The rainbow model that hipsters love to draw. The one that iPhone cases attempt to imitate. The legend. But how does it actually perform in the wild, especially when compared to other, newer Polaroid cameras? The answer is, well, all right. This is about as cheap as Polaroid cameras come, with no built-in flash, autofocus, or manual focus controls. Also, there is no way to fold the camera up to protect the lens. However, it’s cheap and plentiful, and you should be able to find one for less than the price of a pack of film. 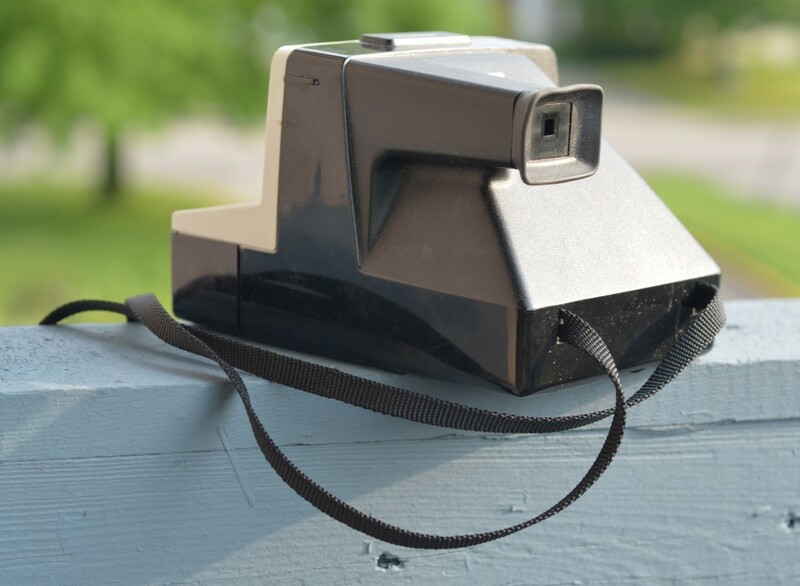 The Polaroid OneStep, like all Polaroid Land Cameras, uses SX-70 type Polaroid film. That means it’s compatible with the Impossible Project’s PX 100 Silver Shade and PX 70 Color Shade lines. 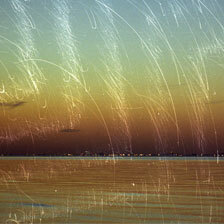 With a neutral density filter, you can also shoot 600 type Impossible film. As far as I can tell, this camera is always on. There’s no on or off button, flash to press, or lens to unfold. You can’t even hold down the shutter half way to focus/wake it. Just point the camera at whatever you want to take a photo of and mash down that button, and it goes. Truly, it is one step for better or worse. This camera features the familiar exposure compensation dial that is an nearly every Polaroid camera ever made. It works fine. Turn it towards the white side to make your photo lighter, and towards the dark side to make it darker. The viewfinder is tiny, but still better than what is on cheaper 600 cameras. The lens on this camera is decent. Be careful with it since there is nothing protecting it in transit. The lens sits pretty deep inside the black tube on the front, so it should be fine. There is no autofocus on this camera or even the ability to manually focus. There were many versions of the Polaroid Land Camera, and I have a Pronto! that is the exact same camera except that one has to manually focus according to the subject distance. Remember, these aren’t SLRs, so it’s not like one can see what they’re focusing on. With the Pronto! one just has to pray or use a tape measure. Generally, I’ve found that any subject closer than ten feet is slightly out of focus. Metering is crappy, probably because the camera is always awake (or always sleeping.) Expect quite a few shots to be ruined by overexposure or unnecessarily long shutter speeds. Despite what glorious illustrations by nostalgic artists (who probably have never used this camera) would have you believe, this is a cheap and sorta ugly camera. The iconic rainbow is a sticker that is miraculously hanging on after decades of use. The body is cheap plastic and the white front doesn’t age well (my all-black Pronto! has exactly the same body, except without the white plastic, and has held up much better.) There is no rubber grip, but there is a strap in the back. It’s just big enough to get around your neck, but still too small to be of much use. All of the Polaroid Land Camera bodies I’ve encountered all use the same optional flash bar that attaches to the top. The flash bar has ten little bulbs inside of them; one pops each time you take a picture. Literally, the bulb just ups and explodes. It’s insanely bright, so don’t do what I did and shoot it straight in to your face. Live and learn. Also, don’t touch it while it’s going off, it gets so hot that it warps the plastic container it’s in. You can buy the GE Flashbar II from the Impossible Project. The one I used with this camera was over two decades old and worked just fine. Update: the Impossible Project now produces a reusable flashbar, which is far more practical and less wasteful than disposable flashes. I haven’t used one personally, but I’m sure it works great. I’ll update this when I’ve gotten my hands on one to try out. I imagine that this camera has quite a bit of appeal with collectors because its iconic status, but I don’t recommend going out of your way to get one unless you find it cheap on eBay or at a garage sale. I picked up mine for two dollars (with a pack of film still in it! ), so don’t get suckered into paying much more. These cameras are quite old, and are increasingly brittle, so don’t be surprised if one doesn’t work. The lack of flash is nice, the the autofocus, while spotty, is a huge improvement over manual focus versions of the Polaroid Land Camera. Also, if you’re going to use Impossible Project film, be sure to tape a dark slide just above where the photos are ejected to protect them from light for the first few seconds of development. Otherwise, all your photos will simply be blown out by the sun. The first five seconds of development are the most crucial. Good luck and happy shooting! Find the Polaroid OneStep on eBay. 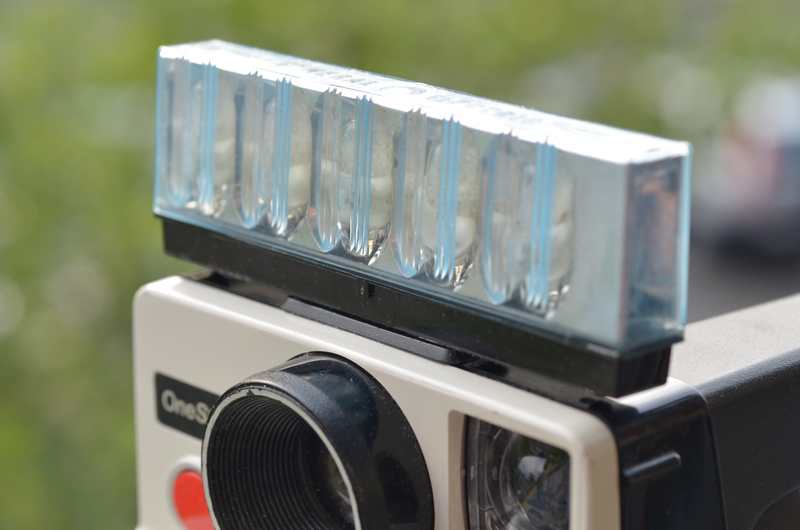 Want instant film news and articles delivered straight to your inbox? Sign up for my monthly newsletter! It’s cool, I promise.